Bigger & Badder Jurassic World! Jurassic World thrilled audiences and broke records in 2015. The fourth film in the Jurassic Park franchise offered new thrills, new dinosaurs, and new characters played by Chris Pratt and Bryce Dallas Howard. That sequel was 14 years in the making, and the time and effort put into the film paid off. A wonderful cast and exciting storyline reinvigorated the franchise; the film would go on to become one of the highest grossing films of all time. Not bad for a franchise that could have gone extinct! Now the highly-anticipated Jurassic World: Fallen Kingdom is almost upon us. Howard and Pratt reprise their roles for the sequel, in a story that once again expands the scope of the Jurassic Park story. With less than a month to go until it hits theaters, let’s take a look at everything we know so far about Jurassic World: Fallen Kingdom. Following the destruction of the Jurassic World theme park in the previous movie, dinosaurs have been left to roam free on the island of Isla Nublar. Now a volcanic eruption threatens to destroy them once and for all. Unwilling to see the dinosaurs become extinct, Claire (Howard) enlists the help of her old flame Owen (Pratt), and together they head to Isla Nublar on a rescue mission. This being a Jurassic Park sequel, little goes according to plan, and Claire and Owen once again find themselves caught up in the dangers of the island. Several characters from Jurassic World (and from previous Jurassic Park chapters) return for Fallen Kingdom, and we’ll see plenty of new faces, too. Chris Pratt is Owen Grady, a Navy veteran who we first met in Jurassic World. Last time we saw him, he was in a relationship with Claire. Bryce Dallas Howard is Claire Dearing, the former operations manager of the Jurassic World theme park. Ted Levine is Ken Wheatley. We don’t currently know what role Wheatley plays in the story. Justice Smith is Franklin Webb, a former IT technician who worked at Jurassic World. Rafe Spall is Eli Mills. We’re not sure what role Mills will have, but Spall has confirmed that his character will be present throughout the whole film. B.D Wong plays Dr. Wu, the geneticist who appeared in the first Jurassic Park as well as Jurassic World. James Cromwell is Benjamin Lockwood. Working with John Hammond, Lockwood developed the technology to clone dinosaurs. Toby Jones plays Gunnar Eversol. Much like other new characters, little is known about Gunnar’s role in the movie. 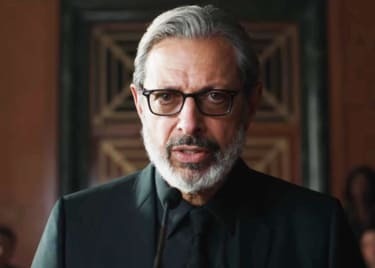 Jeff Goldbum returns as Dr. Ian Malcolm, a chaos theory expert who is remembered for his appearances in both Jurassic Park and The Lost World. We’re not sure why Malcolm is back in the franchise, but we’re excited to see him return. The Indominus Rex terrified us in Jurassic World. In the sequel, Dr. Wu appears to be creating new genetically-modified dinosaurs. Fallen Kingdom introduces a new creature, the Indoraptor. The dinosaur will be significantly smaller and more agile than the Indominus, but it’s every bit as scary if not more so. 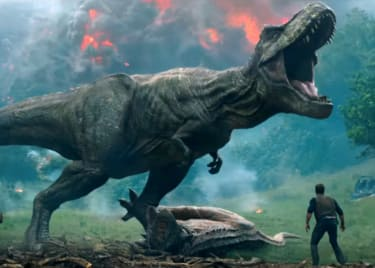 The basic genome for the Indominus was a T-Rex, so based on the size of the creature and its name, it’s likely that the Indoraptor is modeled on a velociraptor. That doesn’t bode well for Claire and Owen.